Music streaming giant Spotify recently filed its application to put shares on the New York Stock Exchange. The 264 page document details the company’s key risks and challenges: I’ve read them so you don’t have to! The Securities Exchange Act of 1933, often called the Truth in Securities law, requires that investors receive financial and other significant information concerning financial securities. To avoid misrepresentations and other fraud, any company wishing to place its shares on an American market must submit a prospectus, formally known as an SEC Form S-1 (or an F-1 for foreign companies). Sweden-based Spotify filed their prospectus for the New York Stock Exchange on 28 February. Prospectuses are heavily regulated, and accuracy is vital: it is a lawyer’s job to fact-check these documents in a process known as “verification.” To allow investors to make informed decisions, a company must be honest about its particular commercial situation, and explain how share prices may decline. Spotify’s estimated valuation is nearly $20 billion, but it has never made a profit and reports net losses of €1.2bn (£1.1bn). but given the risks below, would you invest? Hitting the right note with listeners. Spotify’s unique features include advanced data analytics systems and proprietary algorithms which predict music that users will enjoy. These personalised streams rely on Spotify’s ability to gather and effectively analyse large amounts of data, together with acquiring and categorising new songs that appeal to “diverse and changing tastes.” If Spotify fails to accurately recommend and play music that customers want, the company may fail to retain or attract listeners. Spotify knows that 71% of my recent tunes are energetic, upbeat, and suitable for a fitness enthusiast. Touché! To make its 35 million tracks available for listeners, Spotify requires licenses from the musicians and record labels who own the songs. Additionally, Spotify has a complex royalty payment scheme, and it is difficult to estimate the amount payable to musicians under their license agreements. Even if Spotify secures the necessary rights to sound recordings from record labels and other copyright owners, artists may wish to discontinue licensing rights, hold back content, or increase their royalty fees. In 2014, Taylor Swift removed her songs from the streaming service in protest, although she later added it back. Technical glitches and data protection. Spotify’s software and networks are highly technical and may contain undetected bugs or other vulnerabilities, which could seriously harm their systems, data, and reputation. Growing concerns regarding privacy and protection of data, together with any failure (or appearance of failure) to comply with data protection laws, could diminish the value of Spotify’s service. This especially worth noting as Europe nears the General Data Protection Regulation (GDPR) implementation date of 25 May. Rapid innovation and long-term user engagement is prioritised over short-term financial gain. Spotify admits “this strategy may yield results that sometimes do not align with the market’s expectations.” The company also depends on highly skilled personnel to operate the business, and if they are unable to attract, retain, and motivate qualified employees, the ability to develop and successfully grow the company could be harmed. As Spotify expands into new territories, it must adhere to a variety of different laws, including those in respect of internet regulation and net neutrality. Spotify even admits that language barriers, cultural differences, and political instability can bring share prices down! Furthermore, public pressure continues to encourage governments to adopt tougher corporate tax regimes, and tax audits or investigations could have a material adverse effect on the company’s finances. While Spotify may not be able to successfully overcome each challenge listed in its prospectus, many of the risks are relatively common amongst international technology and media companies. 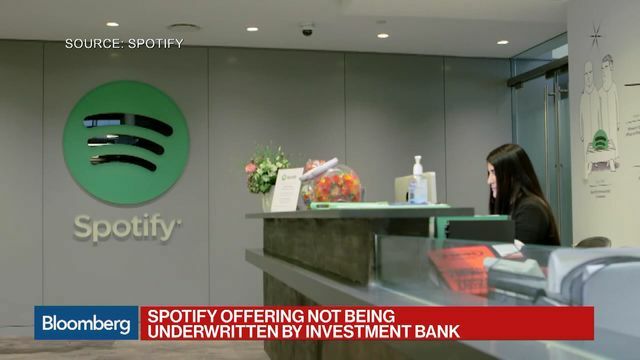 But as an additional risk, Spotify has chosen a relatively unconventional method known as a direct public offering (DPO) to bring its shares to the stock market. Unlike a traditional IPO, in a DPO a company will not use an investment bank to market or underwrite (insure) its offering. While this avoids bank fees, uncertainty can result in a discounting of share prices. This is a really technical point and somewhat nuanced (it gave me headaches in law school!) but a risk worth noting. Project Gutenberg: the German edition? Kelsey is a lawyer interested in the legal stories which impact daily modern life. Her particular interests are in media, intellectual property, reputation management, privacy, and European Union law. Originally from Seattle, Kelsey lives in London with her husband. DeepFakes and False Lights: what does the law say? Fame and fortune: how do celebrities protect their image? Gunpowder on Primetime: were torture and execution scenes too violent? This blog contains general information and Kelsey’s personal opinions only. The content here does not necessarily reflect the views of her employer, nor does it constitute legal or professional advice. Although care has been taken in the preparation and presentation of the information on this site, you are advised to seek specific legal advice in relation to any decision or course of action.